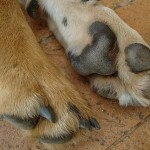 5 Tips for Taking Care of Your Dogs Paws. https://apluspetsitting.com/wp-content/uploads/2016/03/Paws-150x150.jpg 150 150 Jeanne https://apluspetsitting.com/wp-content/uploads/2016/03/a-plus-pet-sitting-dog-walking-main-logo.png Jeanne2014-02-09 02:18:582016-03-15 13:46:575 Tips for Taking Care of Your Dogs Paws. Located in Madison WI and serving surrounding areas, A+ Pet Sitting and Dog Walking offers a full line of services for in-home pet care – from daily visits, to having a dog walker, to cat care as well as extended pet sitting arrangements. A+ Pet Sitting, Madison Wisconsin’s Leading Pet Sitting and Dog Walking Service. Serving as the go to pet sitter and dog walker for: Madison WI, Middleton WI, Fitchburg WI, Monona WI, McFarland WI, Waunakee WI, Cottage Grove WI and Oregon WI. Website Design & Development by Netphoria Inc.